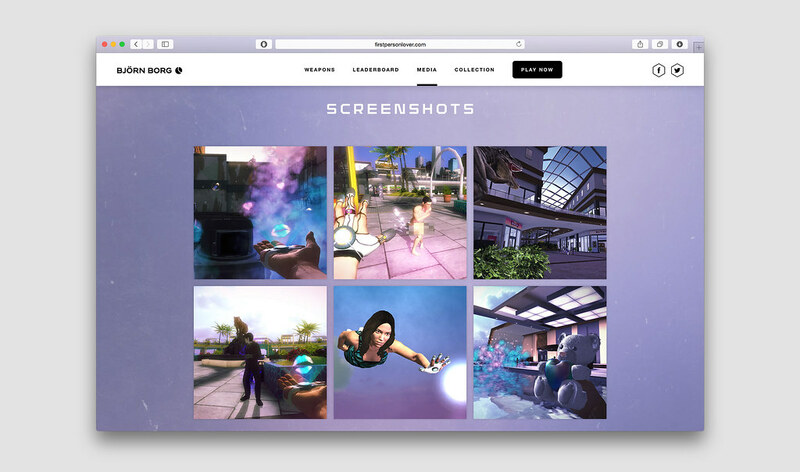 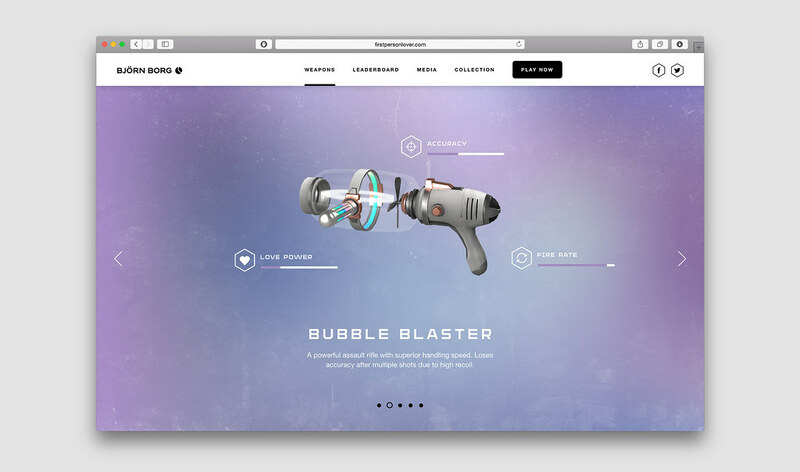 Firstpersonlover.com is the site for our new computer game for Björn Borg. 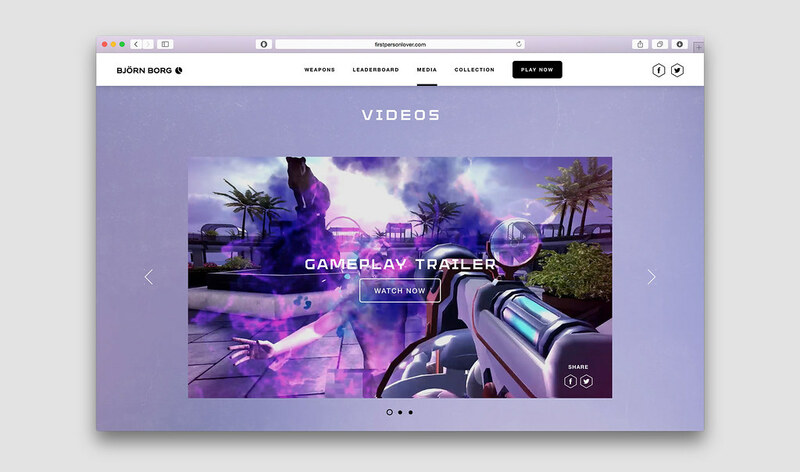 Here you can see trailers, read more about the game's love-weapons and download cool graphic to both your computer and smartphone. 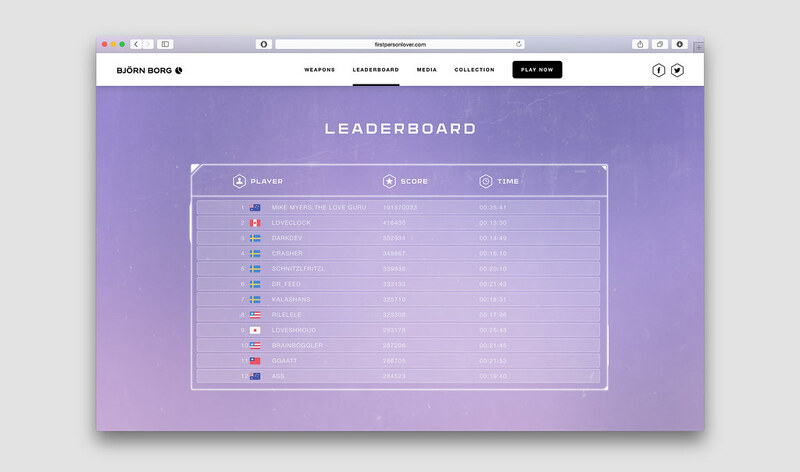 The site also presents a scoreboard where all the gamers with the highest scores are listed.